7am and already on the train after a 15 minute walk and 15 minute bus ride to the train station with our bags packed and ready for our next adventure! It is very quiet on the train. Almost too quiet, but I appreciate it as I seem to be thinking rather clearly. Can definitely tell this is the train leading to the airport too; the vast majority of people on this carriage are either armed with suitcases or gigantic backpacks. The person behind us is snoring, haha. We’re pretty excited about our next adventure as our last one was back in April! We’re still not even sure what we’re going to do when we get to Sydney! Looks like it’ll be a very spontaneous trip, apart from when I get to see one of my awesome friends back from exchange in Sweden last year! 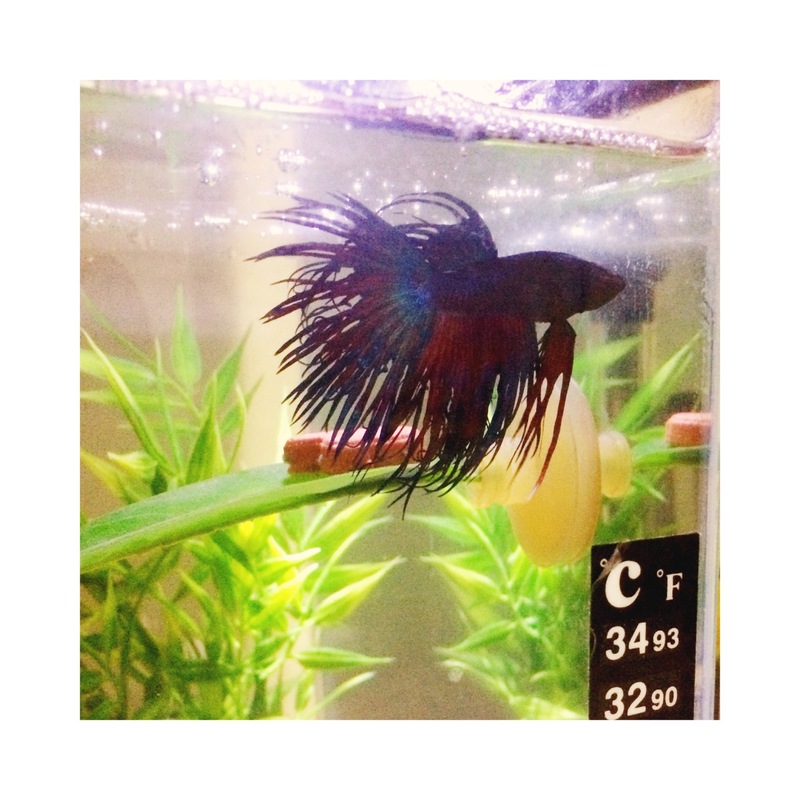 As we were getting ready to leave, I snapped a quick photo of our fighter fish, Oscar. He seemed very confused as to why we were awake and moving before sunrise, but still posed for the camera by flaring his fins a bit, but not his gills. Smart little bugger. Going to miss his face and upturned mouth that makes him look constantly grumpy but in reality, I know he loves being fed and dancing with me while he’s inside his glass enclosure. Hopefully he actually eats the holiday blocks of food we left in the tank for him! Next post shall be from Sydney because our flight is very soon!